Team Ninja’s samurai-themed spin on the Souls-like, Nioh, has sold two million copies worldwide. The game launched for PlayStation 4 in February 2017 and eventually made its way to PC in November that year. 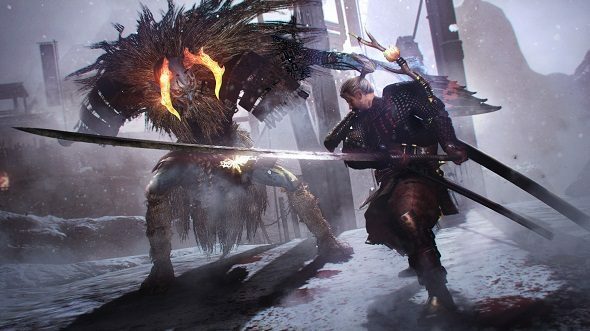 Nioh tells the story of William, an Irishman who finds himself in a demon-ravaged Sengoku-era Japan. With the help of samurai training from a colourful cast of characters – including a two-tailed spirit cat – William learns to wield massive katanas, twin blades, and the brutal kusarigama – a weight attached to a scythe by a long length of chain. The star of the show is the challenging combat, which features multiple fighting stances and unique movesets for each weapon. Nioh’s focus is on combat, but it’s still a roleplaying game at heart. Here’s our list of the best RPGs on PC. The PC port had a few issues when it launched, including a lack of mouse and keyboard support in menus. However, this has since been patched in, and the PC version, Nioh: Complete Edition, includes all three of the game’s DLC packs. There’s no way to know how many PC sales contributed toNioh’s two million sales, but we can at least hope that ports of excellent Japanese games continue to make their way to the PC.